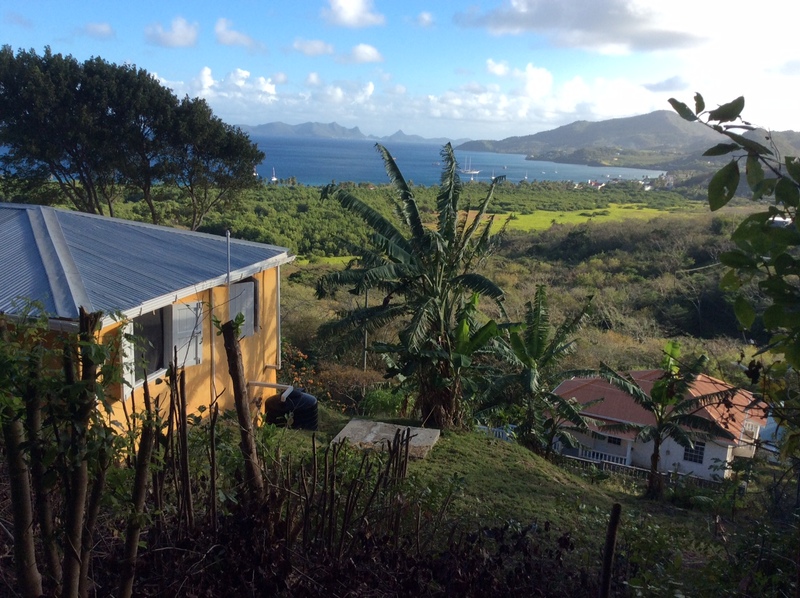 Residential house with possible commercial uses and Land at Dover – US$112,500 | Carriacou Real Estate, Ltd. This 2 bedroom house sits on 5,575 sq.ft. of flat land. Ideal for a young couple, holiday or retirement home. It would also lend itself to commercial use as a restaurant/bar or shop. The house is located at Dover and is accessed by the Government road leading from Dover down to the fish Market. 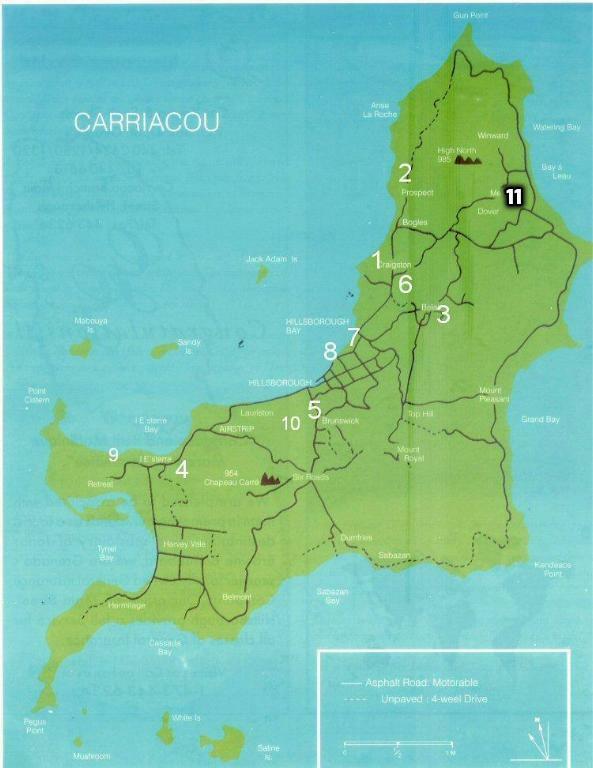 (See location 11 on map of Carriacou) The land and house was once part of the neighboring property. It is a 2 minute walk to the sea front and one of the famous boat building locations on Carriacou. View plan of land which is the middle piece of 5,575 sq. ft. 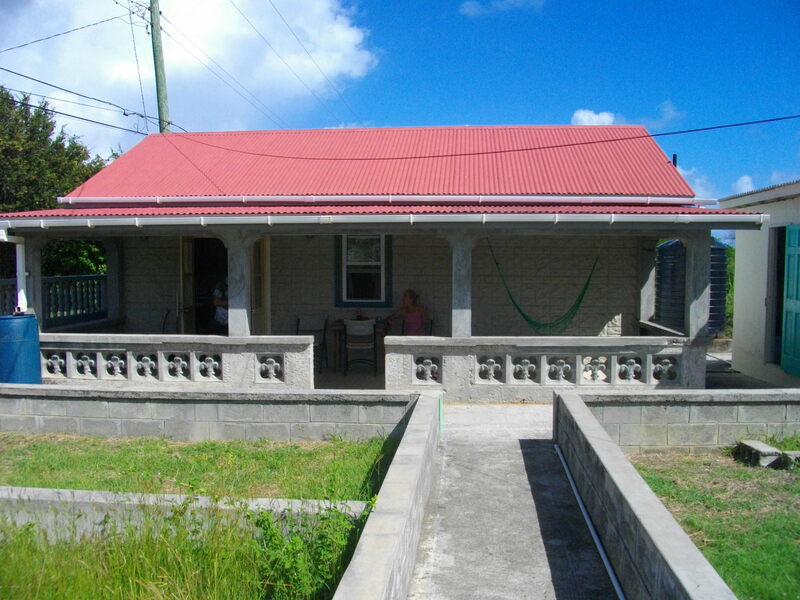 This 2 bedroomed house is constructed with rendered and painted concrete blocks. The ceiling is painted ply with galvanize roofing. The windows are sash, white UPVC with fitted mosquito screens. The house is tiled throughout. The studio/workshop is of timber construction with a galvanized roof and has a WC inside and a shower outside. The land is fenced and walled on three sides and clearly marked on the fourth side. The main door which leads out from the kitchen has glass windows and opens onto the covered veranda. 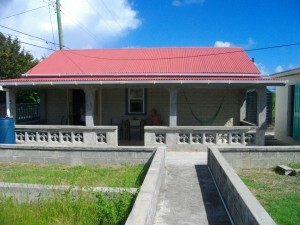 The house is offered for sale with all fixtures, fittings, furniture and kitchen ware. Electricity is provided by Grenlec. Internet by Cable & Wireless). Water is stored in a 400 gallon black tank and pumped to the outlets on demand.